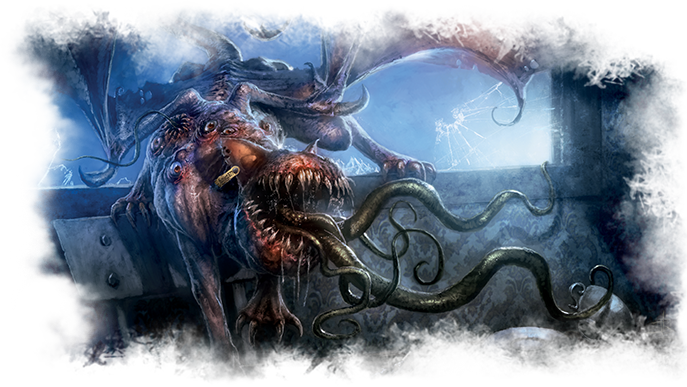 Fantasy Flight Games is proud to announce that you will soon be able to get your hands on The Labyrinths of Lunacy scenario for Arkham Horror: The Card Game! You can pre-order The Labyrinths of Lunacy at your local retailer or online through our website! Then, read on for more information. Unlike previous standalone scenarios, Curse of the Rougarou and Carnevale of Horrors, The Labyrinths of Lunacy cannot be played as a side quest in your larger campaign, but it offers a tremendous range of play experiences, nonetheless. 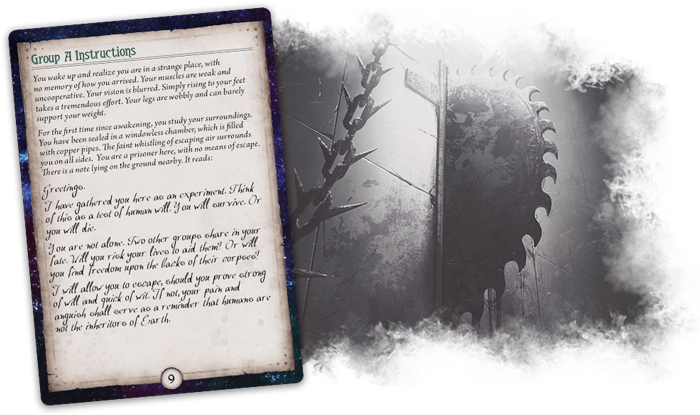 Designed to accommodate as many as three separate groups of investigators, The Labyrinths of Lunacy introduces a massive Epic Multiplayer Mode that allows you to share your terrors with up to eleven other investigators. 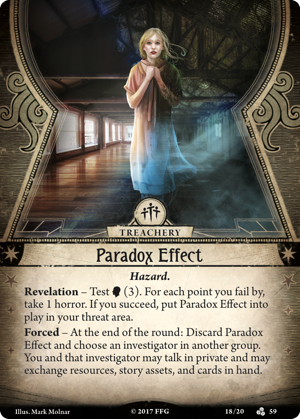 And while each group deals with its challenges separately, your successes or failures will impact the other groups—as will cards like Paradox Effect (The Labyrinths of Lunacy, 59) which create unique interactions between groups. Meanwhile, the scenario is also playable a single group of investigators. The Labyrinths of Lunacy comes with three encounter sets—one for the Epic Multiplayer Mode, one for use with a single group of investigators, and one for use in either format. Even in a single group, then, you'll be able to experience all the paranoia and dread that come with navigating a prison full of Traps like Blood and Rust (The Labyrinths of Lunacy, 58), and there are even rules that allow you to play through the adventure as a mini-campaign of three scenarios. For more about the scenario, we turn to the depraved soul behind it, designer Matt Newman. I am very excited for the upcoming release of The Labyrinths of Lunacy. This scenario is the culmination of many weeks of development, extensive playtesting, and direction from our art team. We designed it for the special The Labyrinths of Lunacy events that we ran at Gen Con 50, but it has so much to offer that I'm glad it's going to see this wider release. I hope you enjoy playing it as much as we enjoyed creating it. As you may be aware, the scenario made its debut in Indianapolis at Gen Con 50 where forty-nine groups of investigators participated in the events we ran throughout the course of the weekend. It was an absolute blast to watch these players—sometimes complete strangers from different corners of the world—working together to escape the labyrinths. With a clock ticking away and pressuring their every move in real-time, more than 180 investigators were taken captive. Only sixty-nine learned the innermost secrets of the labyrinths, defeated their captor once and for all, and escaped. Even among the fallen, however, we saw many tales of courage, luck, sacrifice, and even betrayal. Most of all, we saw investigators having tons of fun trying to figure out how to escape and survive! Soon, you will be able to run your own The Labyrinths of Lunacy event. But if you don’t have enough players to play through The Labyrinths of Lunacy in its full Epic Multiplayer Mode, worry not! We're offering this scenario with rules and a separate encounter set that allow you to play it with one group of one to four investigators. You can even run The Labyrinths of Lunacy as its own mini-campaign of three separate games, to simulate the experience of Epic Multiplayer Mode. Finally, it also comes with its own optional variant, “The Shifting Labyrinths,” to add even more replayability to the scenario! 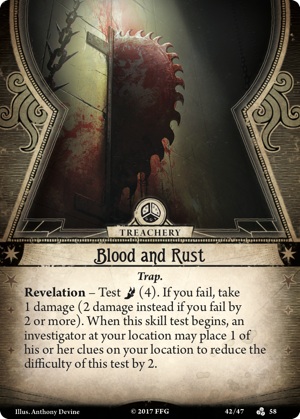 All told, this is the most elaborate scenario we’ve ever made for Arkham Horror: The Card Game, and it’s very special to me. 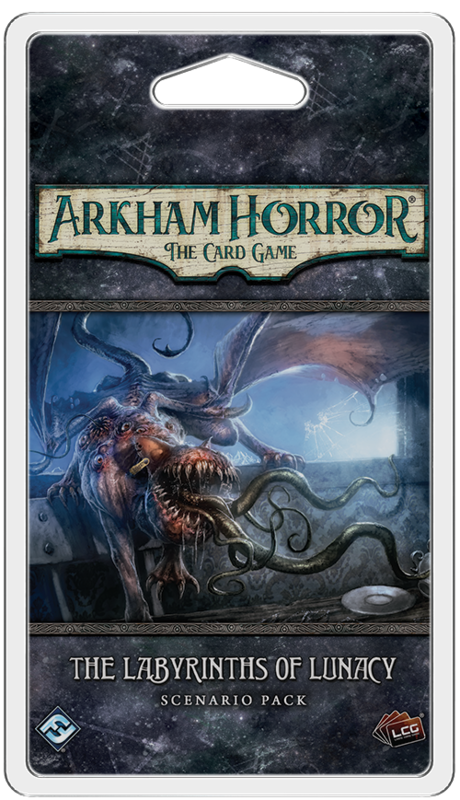 I’m excited to hear more tales from the Arkham LCG community when it releases! Are you quick witted and resourceful enough to escape The Labyrinths of Lunacy? Are you brave enough to confront the cruel mastermind who designed the prison? Are you strong enough to survive the strange and shadowy creatures whose howls you hear echoing through the distant halls? You'll be able to test your wits and will soon enough. Your abduction begins when The Labyrinths of Lunacy releases late in the fourth quarter of 2017! Head to your local retailer to pre-order your copy of The Labyrinths of Lunacy (AHC18), or place your pre-order on the Fantasy Flight Games website here.